American English College is located between Downtown Los Angeles and Huntington Beach. At American English College, programs are developed to meet the needs of each student’s skill sets and goals across all levels of English language proficiency, from beginner to advanced. All courses cover the major language skills including: listening, speaking, reading, writing, grammar, vocabulary, and pronunciation. American English College infuses technology and innovative teaching methods to all lessons, creating a classroom environment that optimizes your learning potential. Since 1983, American English College has knowledgeable instructors who have taught in various countries. AEC offers English courses in the city of Monterey Park, CA and Rowland Heights, CA. Both campuses are a short drive to beaches and world-famous attractions, such as Disneyland, Universal Studios, Beverly Hills, and Hollywood. Best suited for students with little to advanced proficiency who wish to learn English for half the day, with personal time to explore the city. Best suited for students who wish to improve their English as quickly as possible.This course includes a morning core ESL course and afternoon electives to supplement your studies. 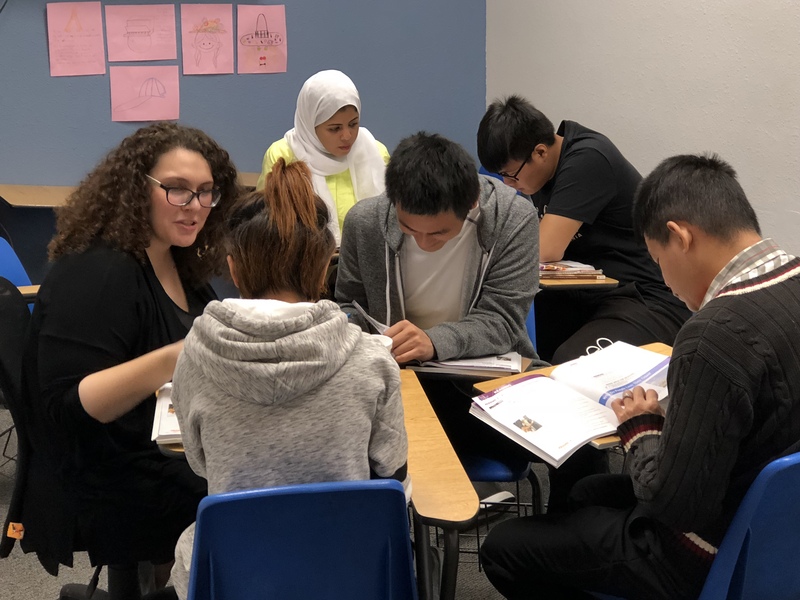 Students also learn skills necessary for college success such as presentation skills, formal essay writing and MLA format, and academic word list vocabulary. Price not including activity and textbook cost. Best suited for advanced students interested in progressing their English proficiency by improving their TOEFL score to meet or exceed US university entrance requirements. Learn important language skills and test-taking strategies necessary for success on the TOEFL Exam. Special emphasis will be placed on listening comprehension, grammar, reading comprehension, and ability to communicate clearly through speech and writing. Best suited for students with an academic goal to pursue college or university in the United States. Students focus on English language skills such as formal essay writing, presentations, and testing necessary to succeed in a U.S. based college. Take advantage of conditional acceptance, guaranteed admissions, and TOEFL waivers for our F1 visa students. American English College inspects all homes, and carefully match-makes you with the perfect host family. AEC's housing team provides you housing options based on your needs. American English College is a friendly environment with supportive staff and well educated teachers. The fees are reasonable and classes are small. I really had a great time and was able to promote my English well.